Maybelline is one of the most well known brands out there. Branded as Maybelline New York, it is a major American makeup brand sold worldwide and a subsidiary of French cosmetics company L'Oréal. Maybelline was founded in 1915 by Tom Lyle Williams. 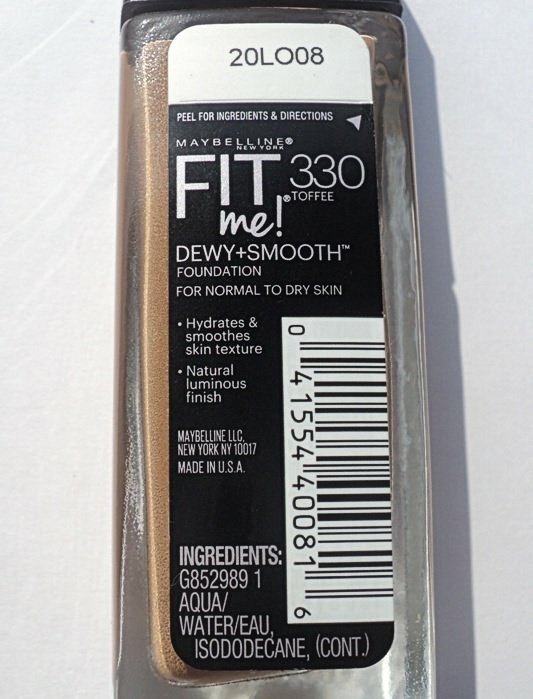 The Maybelline product that I am reviewing today is the Maybelline Fit Me Dewy + Smooth Foundation. 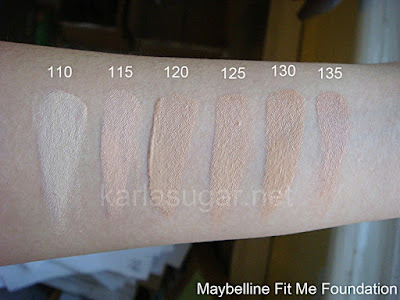 The Maybelline Fit Me range initially released a while back, was only the Maybelline Fit Me Dewy + Smooth one. After releasing the Matte + Poreless range they have repackaged the Maybelline Fit Me Dewy + Smooth foundation. 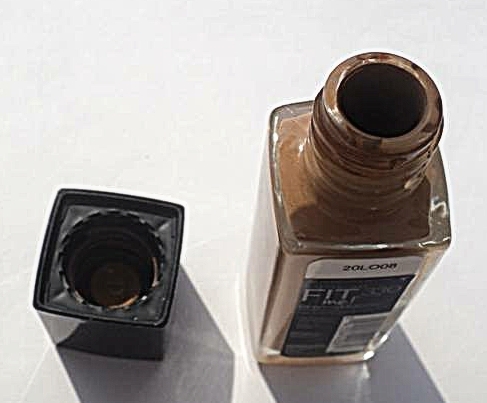 The old packaging was liked by people more since it had a pump. Whereas the new packaging doesn't come with a pump which is a little difficult to use. 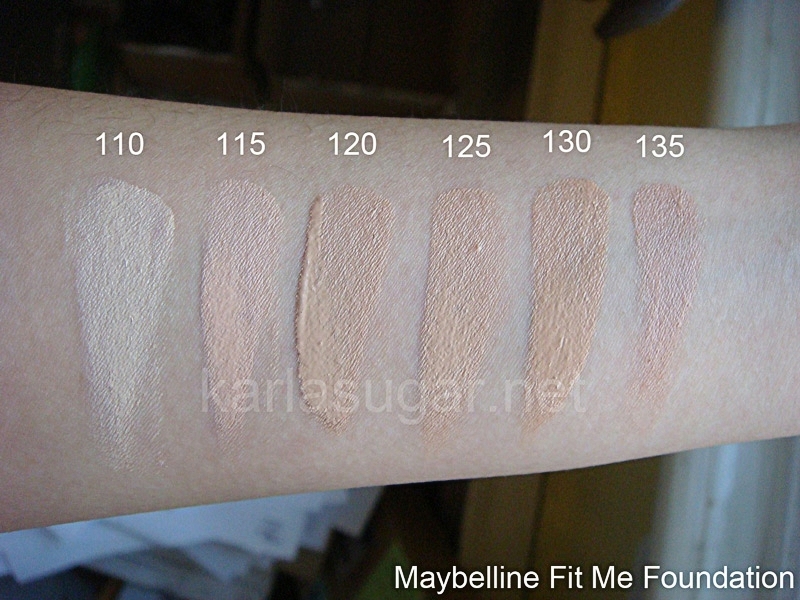 “ - Fit Me foundation has a new look for its same great hydrating formula! Hydrates, smoothes skin texture and matches natural tone for a luminous, seamless finish. - Fit Me! 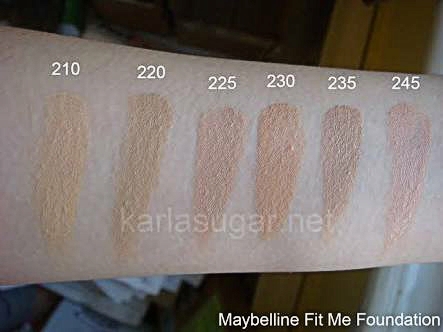 Dewy + Smooth foundation for dry skin from Maybelline New York goes beyond skin tone matching to fit the unique texture issues of normal to dry skin for the ultimate natural skin fit. - While some foundations can exaggerate dry, rough patches, only Fit Me Dewy + Smooth hydrating and moisturizing foundation contains our genius hydra-smoothing concentrate so dry areas become incredibly smooth with a perfect dewy finish. - Dermatologist and allergy tested. Does not clog pores. Oil-free". 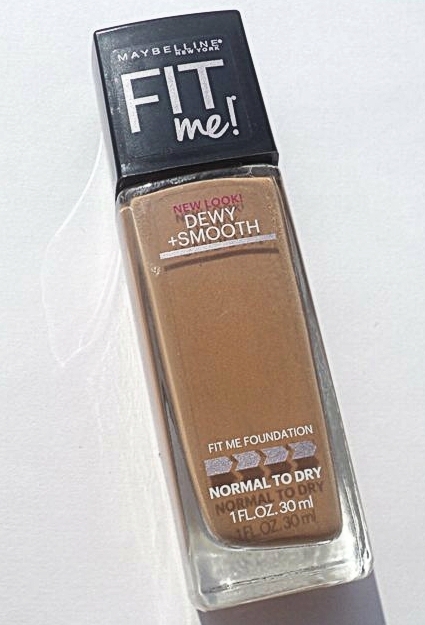 As the name suggests, the Maybelline Fit Me Dewy + Smooth foundation is made for people with Normal to Dry skin. The foundation comes in a vast variety of 16 shades with warm to cool to neutral undertones which caters to all skin tones and undertones. If you find your shade missing in the range or of wrong undertone‚ you can always mix and match foundation shades to make one that matches you. The formula is more of a liquid consistency which helps it spread evenly on your face. Though Maybelline advises to use your fingers to blend it out, I personally prefer using a beauty blender or a brush for a more air brushed finish. The coverage is from light to medium and you can build it up to cover any imperfections. 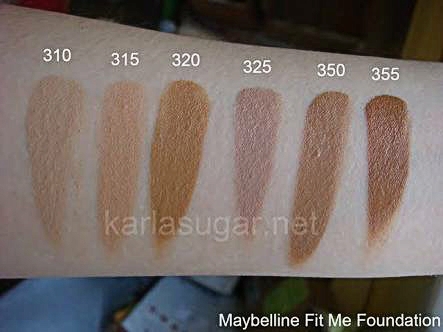 I use the shade 220 Natural Beige which is a bit darker for my MAC NC30 skin tone‚ but once it's blended out properly it looks very skin like. It doesn't sit on the skin, and due to its hydrating property it sinks in. But opposite to what claims‚ it does cling to your dry patches. So I will suggest exfoliating and moisturizing before hand. It does nothing for your pores so if you have larger pores it will sink into your pores. Using a pore minimizing primer is suggested. This foundation lasts good 5-6 hours and even more if you use a Makeup lasting primer underneath it and set it with powder. With its moisturising‚ SPF 18 and light to medium coverage I suggest it to people who are looking for a BB Cream, as it acts the purpose of a foundation and a BB Cream depending upon how you apply it. The finish this foundation gives is very dewy and healthy looking. You are looking for a foundation or a BB cream. Gives even coverage and a dewy finish. Feels very light on skin. The shade range is vast. You avoid products containing parabens. Due to SPF 18 it gives flash back in picture. If you have tried a lot of foundations but haven't found one which will work for your dry skin, then I would recommend this one since it's one of the best foundations for dry skin that I have tried so far.